Mean Altar Offerings: Evidence of a Race of Giants in Prehistory? I have compiled a document containing dozens of articles from many periodicals, including the New York Times, and Scientific American, citing of discovery of giant skeletons. Look at that document HERE. This is the Introduction from that document, but look at the news articles yourself, even if just the headlines! Evidence of a Race of Giants in Pre-History - From sources such as the New York Times and Scientific American. • First, our very real spiritual experience of certain assertions of the Scriptures lend credence to others we have not experienced. • Second, logic states that if one cherry-picks the Scriptures, calling parts true, parts myth, one undermines the ability for any of it to be true. • But thirdly, and most importantly, there has never been an archaeological discovery that ever went against the Biblical record. When assertions are made by conjecture about what is not known, foolish things occur. For example, the higher critics of a century ago used to claim Biblical prophetic books were written after their recorded events to give the appearance of accurate prophecy. The prophetic predictions were simply too sharp to be believed. But when the Dead Sea Scrolls were discovered, with entire scrolls of our present-day Old Testament which were scribed before the events recorded in those books, it irrefutably affirmed the accuracy of prophecy. discovered they existed, but were a fierce and dominant force in the ancient world. Now, it is true, there are things in the Biblical record that science has yet to discover, but science must build it's house on what is known, not what is unknown, and what science knows of Biblical archaeology has continuously affirmed the Biblical record, without exception. 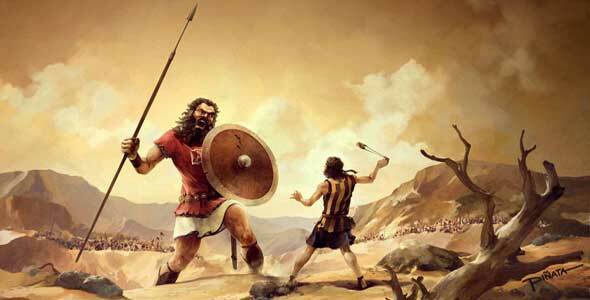 One of the “myths” of ancient times that exists not only in the Bible, but in the cultural myths and histories of many civilizations, is the reality of a race of Giant men from pre-history. Science laughs and scoffs today, yet, in this compilation we find that not only have these things been discovered with certainty many times, but there has perhaps been an effort to obscure this information. The reader should note the many curious involvements of the Smithsonian Institute in the aftermath of these discoveries, after which the discoveries are never heard from again. Truth is never obscured, but for a time. One day, all things will be brought to light, and those things which are in the sphere of faith will rest as established fact.